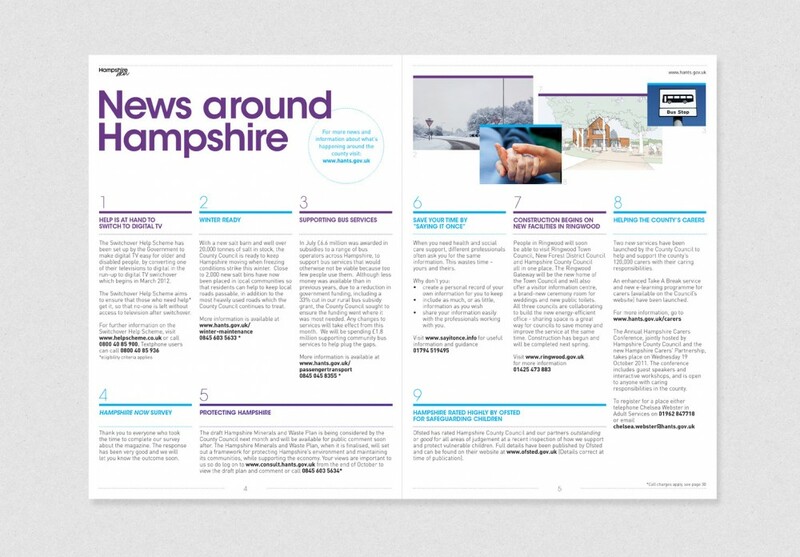 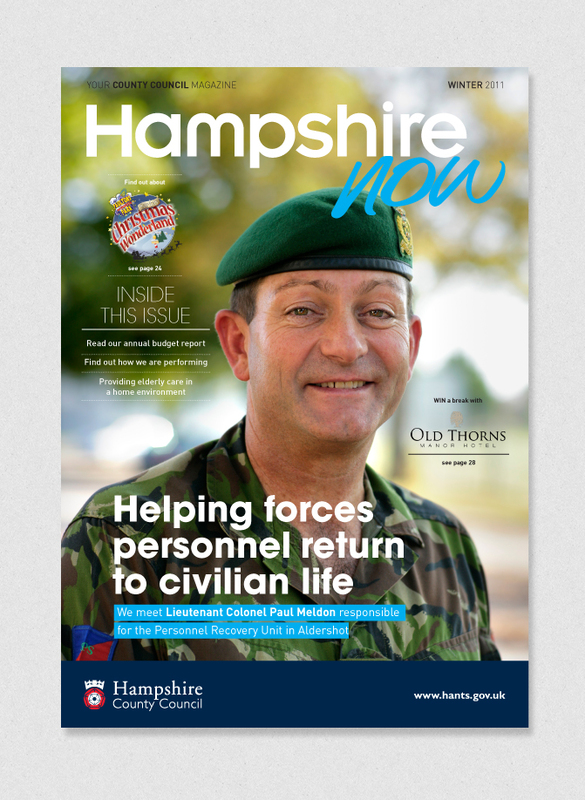 Re-Format was commissioned by Hampshire County Council to work on a re-design of their residents’ magazine, Hampshire Now, which has a circulation of 560,000, producing eight editions between 2011 and 2013. 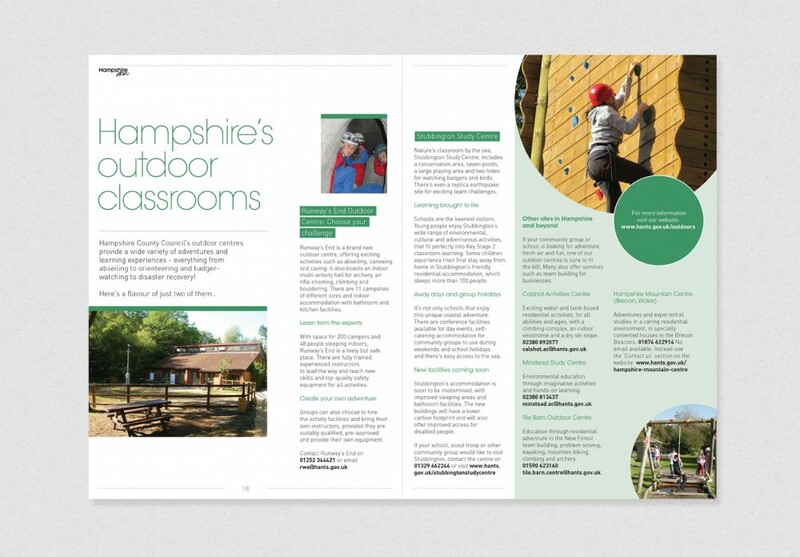 Re-Format worked hard to refresh the design of the magazine whilst adhering to the Council’s strict design guidelines which limited certain aspects of the design such as text size and color. 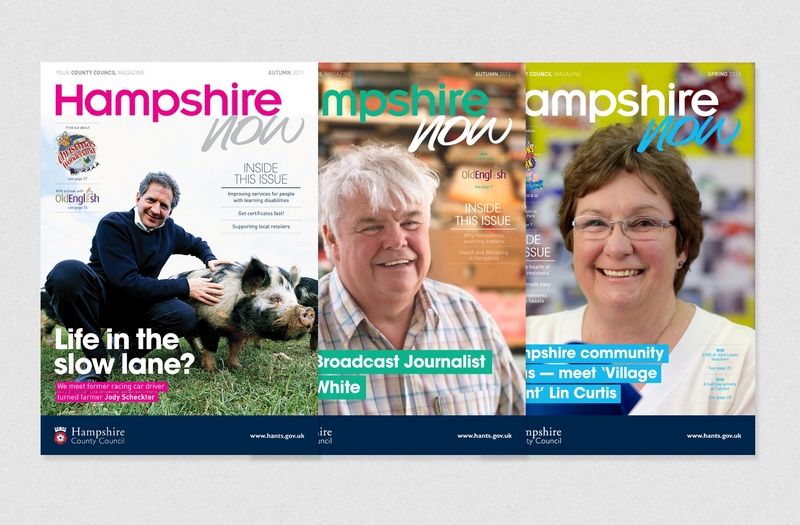 In addition certain established design elements, such as the masthead, had to be maintained.